The IBAF Women’s Baseball World Cup is still a relatively new addition among the IBAF’s international competitions. In its first year – in 2004 – the IBAF Women’s Baseball World Cup featured five nations, with the United States securing the gold medal by beating Japan in the fi nals. In 2006, the number of participating teams increased, illustrating the growth of the sport internationally among the female athlete’s community. With more fans in attendance than ever before, seven teams participated in Taipei to see the United States take the gold, again defeating Japan in the final. In 2008, participating teams increased to 8 and the host team, Japan, won the gold medal. In 2010, Japan repeated as champions, as participation increased again to 10 teams: Japan, Australia, USA, Venezuela, Canada, Cuba, Chinese Taipei, Puerto Rico, South Korea and Netherlands. 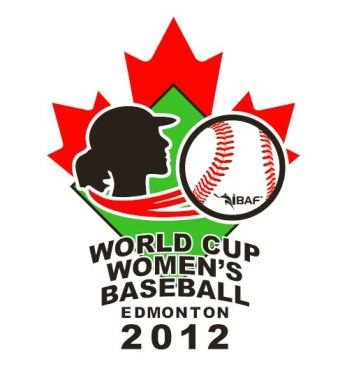 The V IBAF Women's Baseball World Cup will be held from August 10 to 19, 2012 in Edmonton, Canada. The eight participating countries will play a single round-robin format in the preliminary phase. The top 4 teams will play an elimination round for gold, silver and bronze medals. All 36 round-robin and playoff games will be played at Telus Field, Edmonton's professional minor league stadium. This is the second Women's Baseball World Cup to be hosted in Edmonton. In 2004 the first Women's Baseball World Cup was played there.